The Infant/Child Supplement to the Medic First Aid Basic First Aid and CPR course is intended to teach you, the layperson, life saving skills as they relate to patients eight years old and younger. 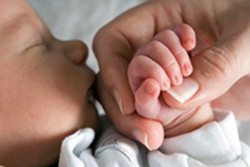 Responding to an ill or injured infant/child can be especially difficult and stressful. Being trained to remain calm, confident, and in control of the situation positively affects the patient’s response to the care you will provide. This training supplement must be used in conjunction with the Medic First Aid Basic First Aid and CPR course. The Infant/Child Supplement is not a stand-alone program.